As a beautiful and natural building material, Marble has been used in home kitchens for generations. Long associated with luxury, every slab is uniquely patterned by veins of mineral deposits, comes in hundreds of types and a wide variety of natural hues from quarries all over the world. Marble is an attractive option chosen often for the kitchen because it’s easy to work with, heat resistant and strong. Carrara is an affordable classic with a bright white base and grey veins that reflect light and pairs with a wide range of interiors. 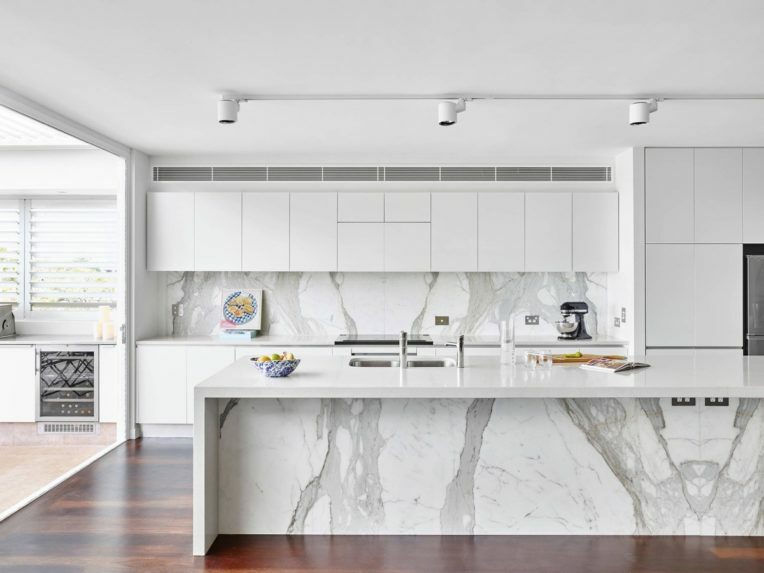 But it’s versatility shouldn’t be limited to countertops… so when designing a kitchen with marble, why not consider using it in a different way? Marble has been used as elegant flooring for thousands of years. 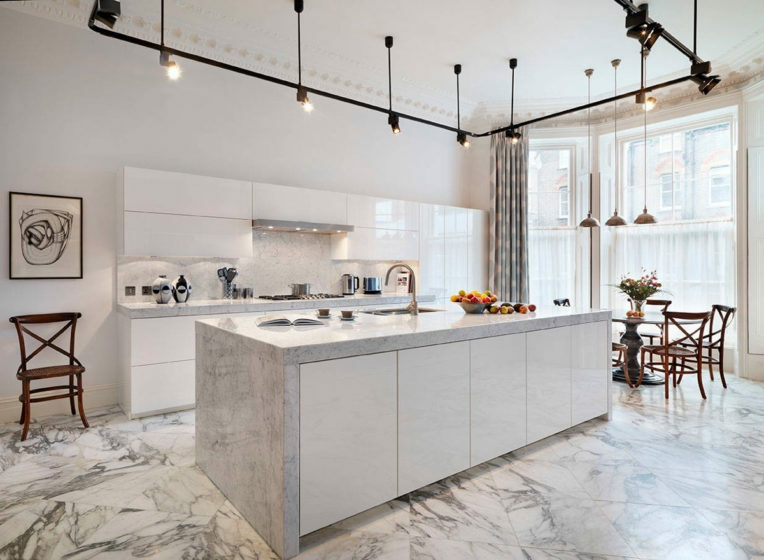 Modern living can make the high sheen of polished marble an impractical choice for wet areas like the kitchen, so choose the slightly rougher surface of honed marble for better traction. The floor will need to be refinished annually with a quality sealant and choose cleaning products carefully. 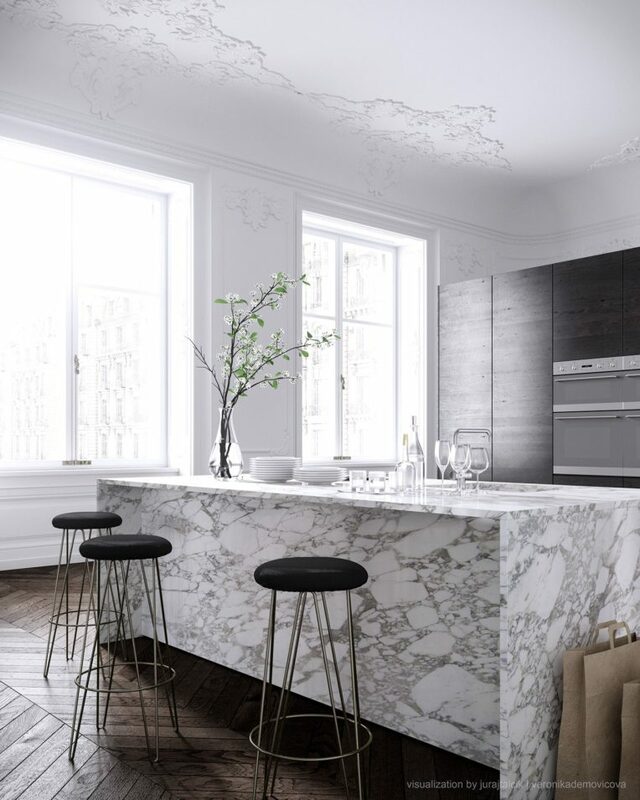 French designer Joseph Dirand made marble backsplashes a trend and ever since they are popping up in kitchens everywhere. The marble can be in a single slab or in tiles of various sizes or shapes, even different types of marble. Proper sealing and regular maintenance with warm water and dishwashing liquid will help maintain its beauty and prolong its life. 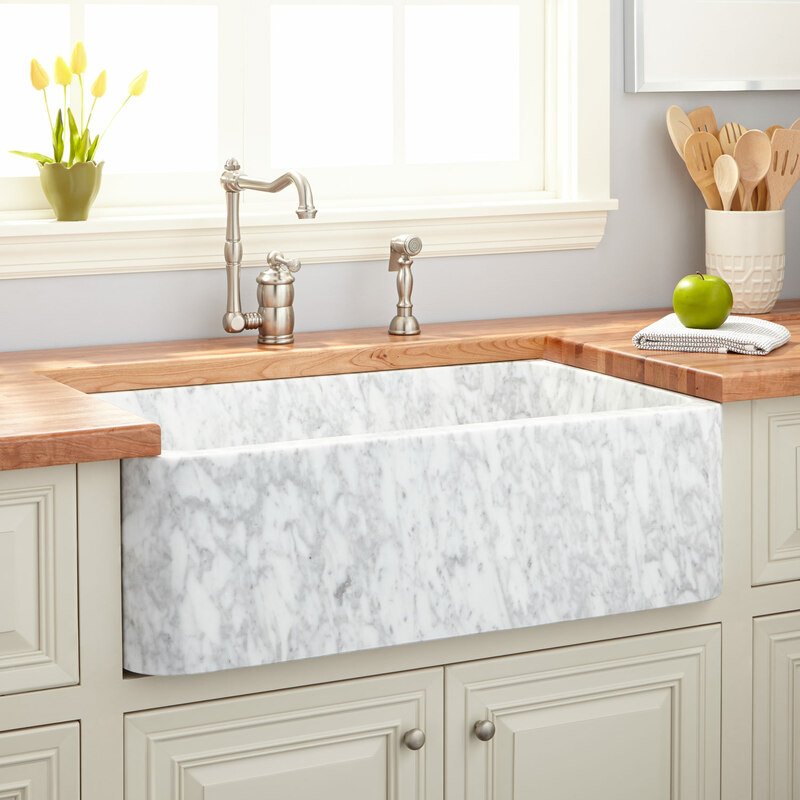 Marble sinks integrated into the countertop or apron/farmhouse style sinks with the front edge visible are both super hot right now. While they can require custom built cabinets, the end result is an incredibly stylish statement. 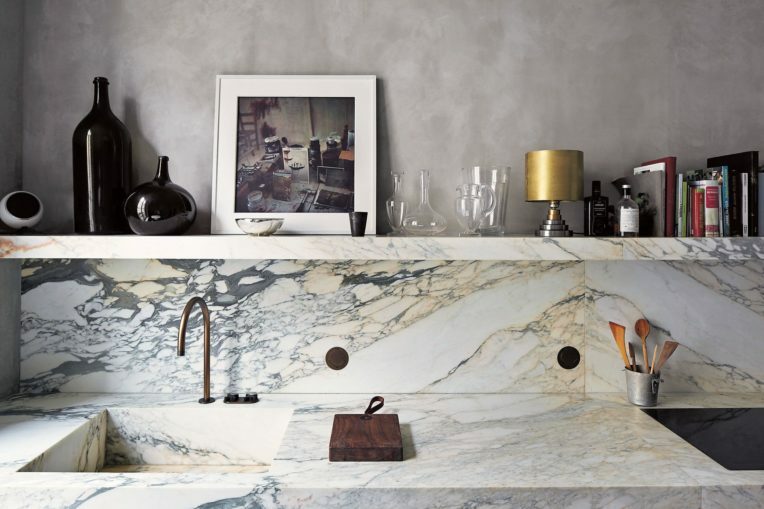 A marble island has the potential to be a stunning focal point in your kitchen. When choosing a design consider four C’s: colour, compliment, contrast and curves. Islands are a great opportunity to add colour to an all-white kitchen, especially if you choose a contrasting shade for the perimeter cabinetry. Enhance the organic qualities of the stone by complimenting it throughout the kitchen with other natural materials and opting for something different than the usual cornered shapes. Remember to incorporate a lot of storage and some open space to display your favourite objects. However you choose to use marble in the kitchen, it will transform the space into something sophisticated and sumptuous. For more kitchen trends, or any other renovating ideas, make sure you visit Canterbury’s longest running and No. 1 home building & renovating expo – the Canterbury Home Show, 12 – 14 October 2018 at Horncastle Arena, Addington, to source quality products and services from 140+ home-related businesses and get free expert advice from leading industry experts and suppliers. See www.canterburyhomeshow.co.nz for more info!